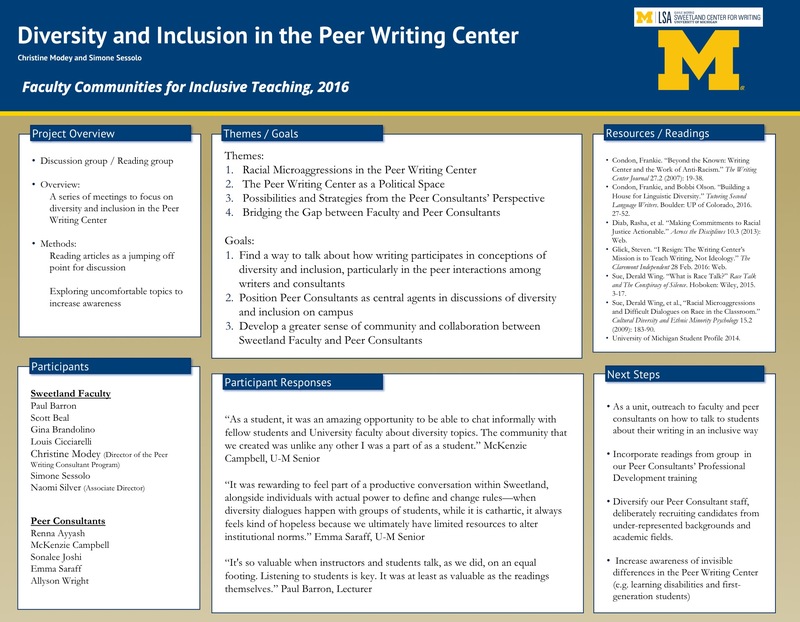 A group of twelve faculty and peer writing consultants explored diversity and inclusion in the writing center, thanks to a Faculty Communities for Inclusive Teaching grant from the Center for Research on Learning and Teaching. Faculty members Simone Sessolo, Christine Modey, and Louis Cicciarelli wrote the grant proposal. The grant supported a reading group comprised of both faculty and peer writing consultants who committed themselves to reading a variety of recent articles on the issue of diversity in writing centers and to meeting together three times during the winter semester to discuss these works. 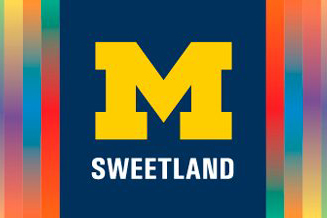 The goals of the reading group were to explore diversity and inclusion, particularly in interactions among writers and consultants, to position peer consultants as central agents in discussions of diversity and inclusion on campus, and to develop a greater sense of community and collaboration between Sweetland faculty and peer consultants. 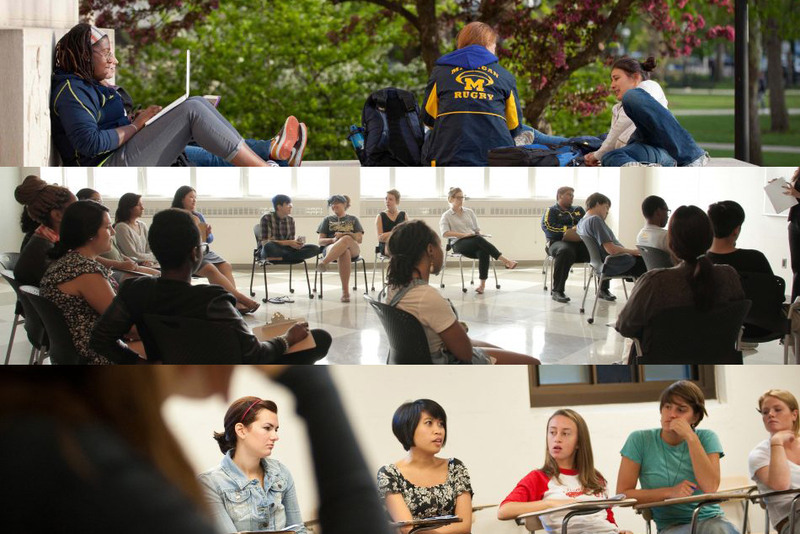 The topics explored by the reading group included exploring the diversity of U-M students’ backgrounds and experiences, understanding race talk and why it’s so difficult, addressing microaggressions in the writing center, identifying concrete and actionable responses to everyday and systemic racism, and understanding what it means to be an anti-racist writing center. Personal experiences and reflection were also an important part of the discussions, as was the opportunity for faculty and peer consultants to learn from each other in a seminar-style setting. 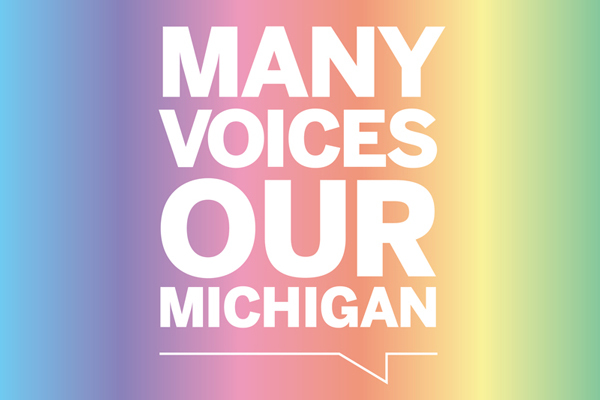 Those who participated appreciated the opportunity to talk about this important issue, hear each other’s perspectives, and imagine concrete, local change in the writing center. 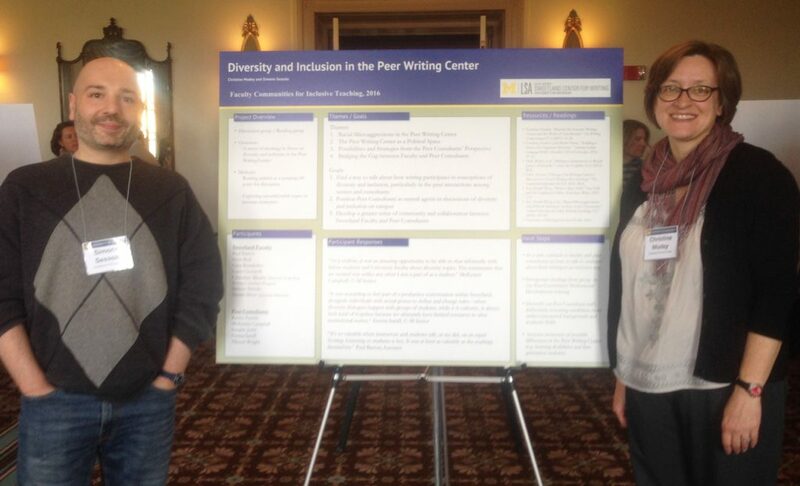 Christine Modey and Simone Sessolo presented a poster (below) that describes the activities and results of the reading group at the CRLT Inclusive Communities Grant poster session, on Monday November 14, 2016, in the Rackham Assembly Hall.